Atypical teratoid/rhabdoid tumor (AT/RT) is uncommon malignant intracranial tumor usually during the first 2 years of life with a male predominance. The tumor can arise at any location in the CNS but the posterior fossa is the most common site. 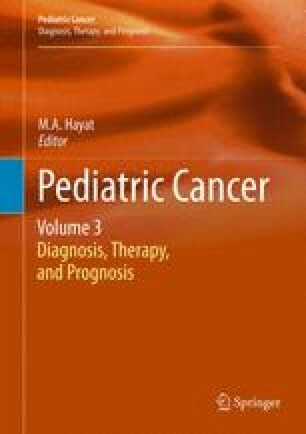 The real incidence of the tumor is unknown since these tumors have been misdiagnosed in the past as primitive neuroectodermal tumor/medulloblastoma (PNET/MB) because of overlapping histologic and imaging features. AT/RT can be distinguished from PNET/MB and other childhood tumors by using immunohistochemical markers like EMA, vimentin, actin, hSNF5/INI1 and mutation analysis. Diagnosis of AT/RT is important because these tumors typically have a poor prognosis and need new aggressive therapies. Detection and diagnosis using imaging is helpful for the extension of the tumor and metastases before immunohistochemistrical and molecular genetics studies. Although the imaging features of the tumor is not specific, awareness of AT/RT is important in making the correct diagnosis of this uncommon but probably underdiagnosed entity. Bulky, heterogeneous masses with calcifications, eccentric cysts, off-midline location in the posterior fossa, presence of disseminated leptomeningeal tumor, restricted diffusion, and eleveted Cholin and decreased N-acetytl aspartat in children younger than 2 years of age should alert the radiologist to the possibility of AT/RT in the differential diagnosis of the mass.